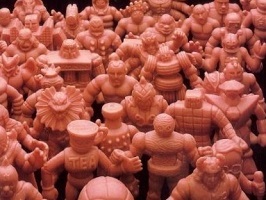 In the past the University of M.U.S.C.L.E. has attempted to be all-inclusive with its winter holidays wishes. While this approach was politically correct it also made it difficult to find an interesting visual. This entry was posted on Tuesday, December 25th, 2012 and is filed under UofM News. You can follow any responses to this entry through RSS 2.0. You can skip to the end and leave a response. Pinging is currently not allowed.